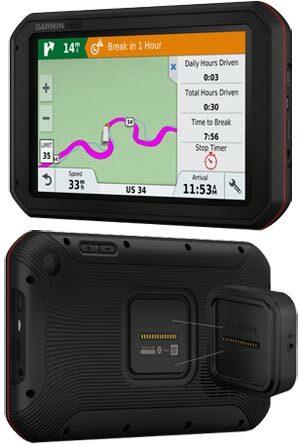 Drive safe with the New dēzl 780 LMT-S Garmin's most advanced truck navigator with LifeTime MAPS & Traffic. Now with Smartphone Link that allows your GPS and Android smartphone to share information and Lifetime Digital Traffic for more accurate live traffic. Be warned of hazards like lateral winds, sharp bends and exit services ahead. Includes Lifetime Map updates in which you can download the newest map when it becomes available (no monthly fees or maintenance costs). 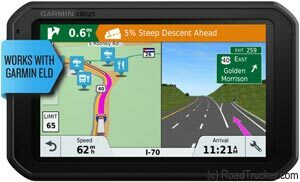 Make your life easy by allowing the Garmin to guide you along a route customized for your vehicle as you stay in the proper lane. dēzl 780 LMT-S creates a route for you along with trucking points of interest (POIs). Enter your truck‘s dimensions and load restrictions such as height, weight, length, width and hazardous materials for a customized trip. The onboard Trip Planner lets you create multiple-stop routes and plan and save future trips. And you can operate dēzl 780 LMT-S with voice-activated navigation. 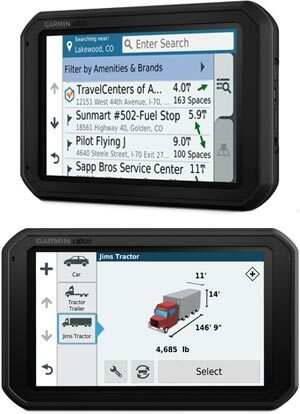 With Garmin dēzl 780 LMT-S Trucker GPS you are guided to the right lane, at the right time. This device is compatible with Windows® XP or newer and Mac® OS X 10.4 or later.